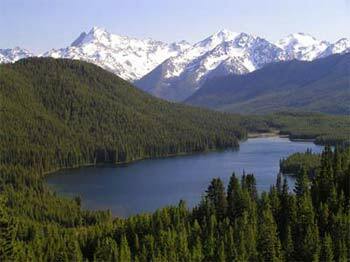 The Southern Chilcotin Mountains (aka ‘South Chilcotins’) are a sub-range of the Coast Mountains in southwestern British Columbia, Canada. 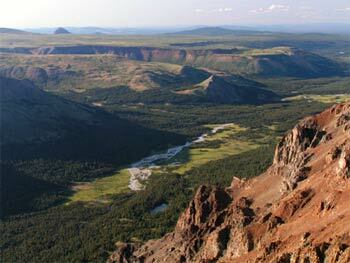 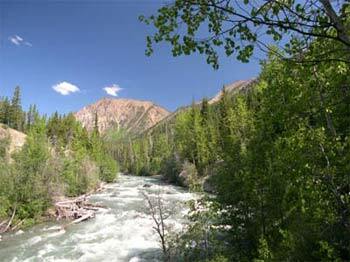 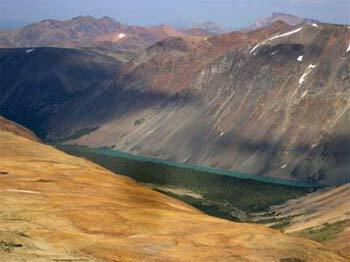 Mountains of the eastern portion of the Southern Chilcotin Mountains are more like that of the Pacific Range to the west being loftier, glacier strewn and more defying; while those to the east are gentler and more subdued by time. 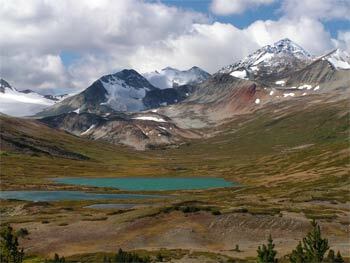 Within our map area there are more than 20 officially named mountains over 2500m in elevation (and many more unnamed) with the overall elevation ranging from 700m (Carpenter Lake) to just over 3,000m (Mt. 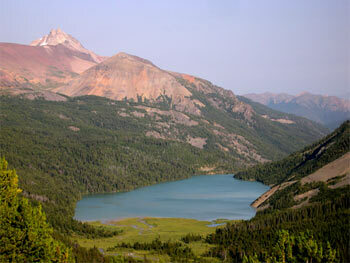 Vic). 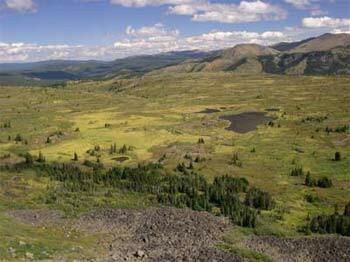 Bordering the Southern Chilcotin Mountains to the north is the expansive Chilcotin Plateau, proving that opposites do attract. 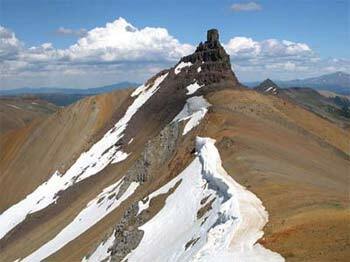 Two intriguing, high elevation extensions of this mother plateau are its offspring: the Dil-Dil Plateau and the Dash Plateau. 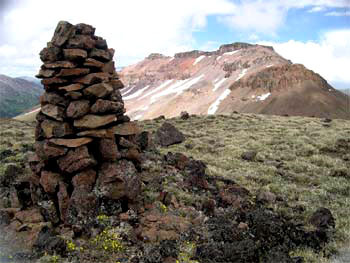 Yet smaller offspring, the curiously perched lava flow remnants atop some mountains, provide unique, well known landmarks such as Castle Peak. 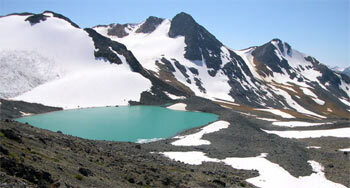 The presence of Dickson and Leckie sub-ranges purport to this areas mountainous character. 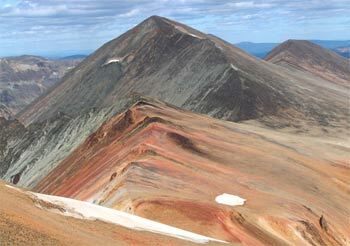 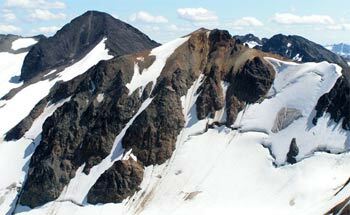 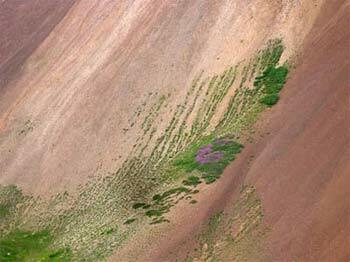 Many ridges act to connect the numerous Southern Chilcotin Mountain summits. 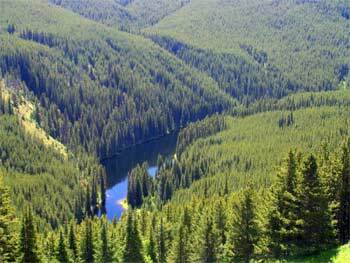 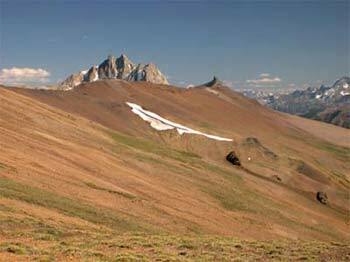 The abundance of gentle ridges here facilitates some of the best ridge walks in SW BC. 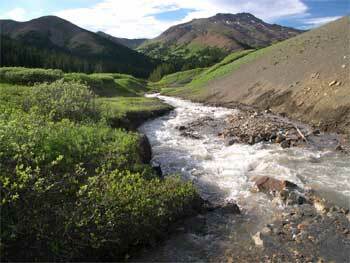 Several of the creeks in this area are more deserving of river status. 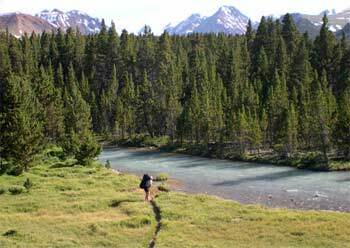 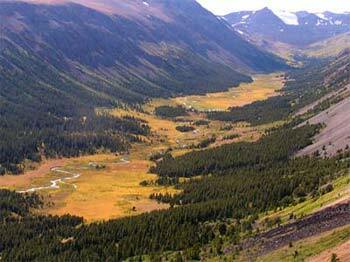 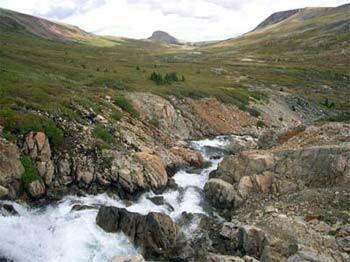 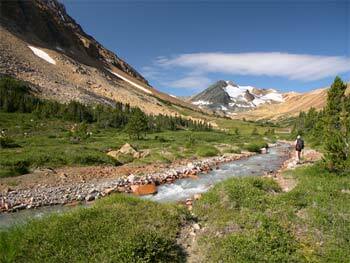 Glacier and snow melt feeds these creeks as well as the lakes to create fast flowing torrents in early-mid summer. 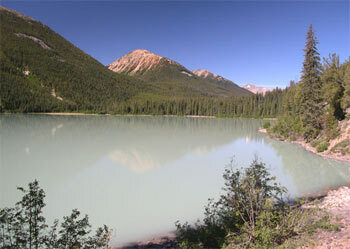 The larger lakes include Vic Lake, Lorna Lake, Warner Lake, Hummingbird Lake, Trigger Lake, Leckie Lake, Spruce Lake, Tyaughton Lake, Gun Lake and Carpenter Lake. 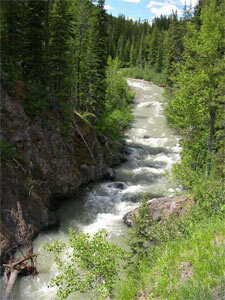 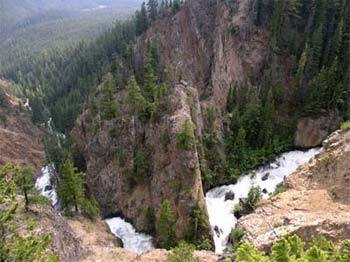 Canyon and gully features reside within the various drainages – ‘Leckie Canyon’ being a good example. 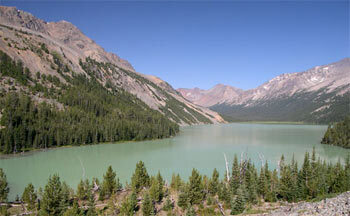 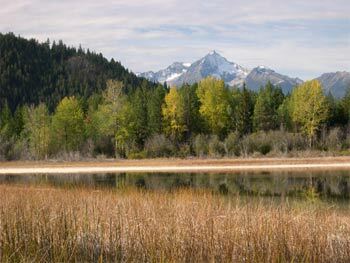 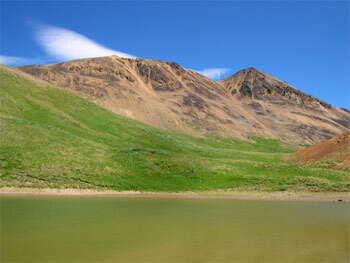 As well, several ponds and significant wetlands provide for an exceptional variety of terrain. 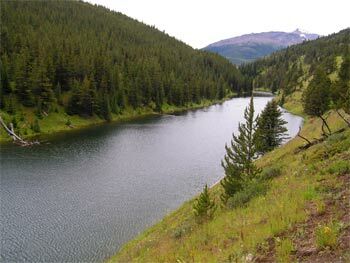 ‘Wolverine Creek’ valley and Leckie Lake. 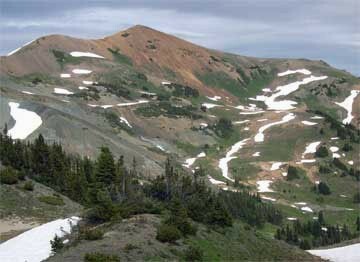 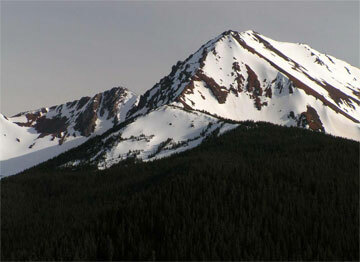 This areas open ground and many ridges make it an excellent mountaineering / backpacking destination. 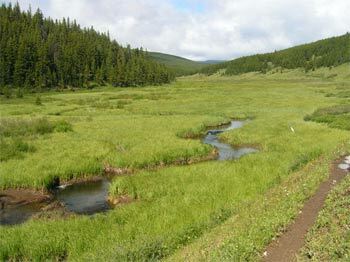 Six major drainages lie within the map area: Tyaughton Creek, Gun Creek, Big Creek, Bridge River, Churn Creek and Taseko River. 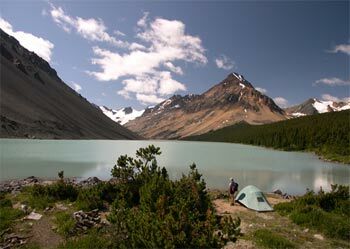 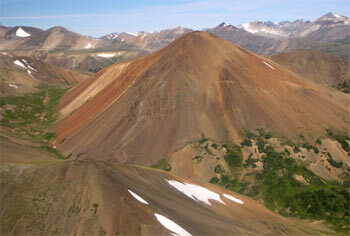 Glacial features abound in the Southern Chilcotin Mountains, especially in the W portion of the map area. 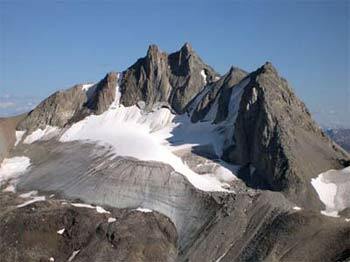 For thousands of years a thick ice sheet covered the Southern Chilcotin Mountains (except for the tips of a few of the highest peaks) until about 10,000 years ago. 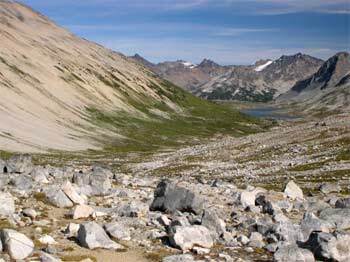 At this time, ice cap glaciation diminished and was ultimately replaced by alpine glaciation. 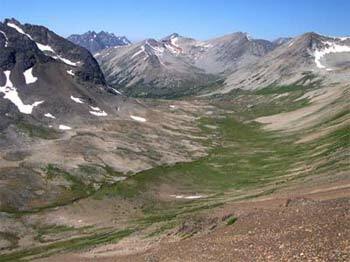 Alpine glaciation, in turn, has diminished to what exists today. 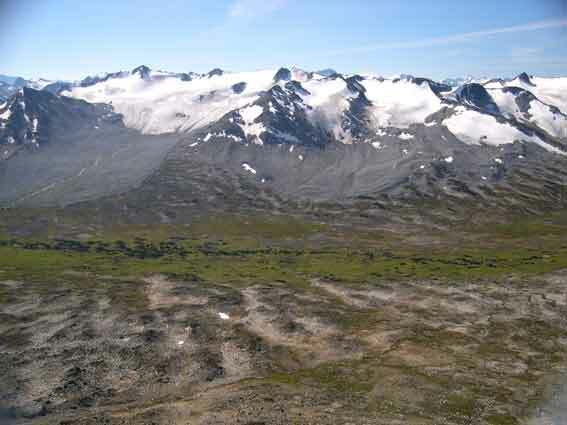 Evidence of this reduction in glaciation is easy to find – many glaciers have either retreated considerable distances or have disappeared altogether. 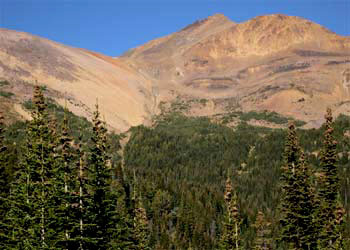 Look for signs of this in the W portion of the map area near the pass and ridge areas – one example of this is the main alpine glacier on the N side of Sorcerer (mountain), which is visible from Slim Pass area. 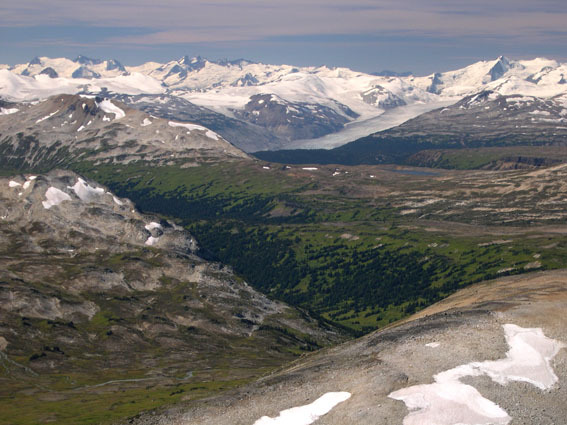 Differences in glacier positions between that shown on 1:50,000 Energy, Mines and Resources Canada NTS topographic maps (last updated from aerial photographs taken in 1979) and what exists in the field today are quite significant. 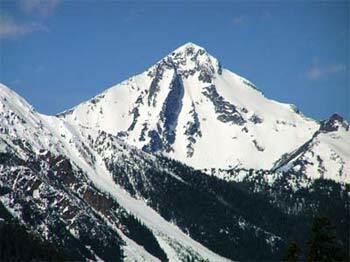 Many believe the reduction in alpine glaciation to be the effect of global warming. 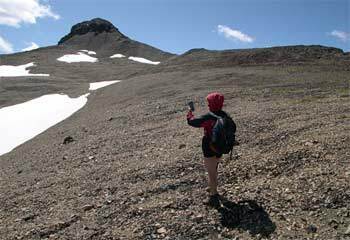 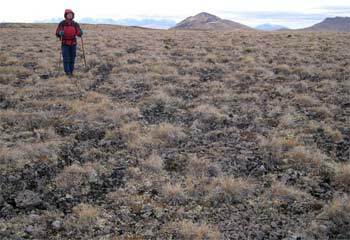 Numerous talus/scree slopes exist which are created through freeze-thawing processes. 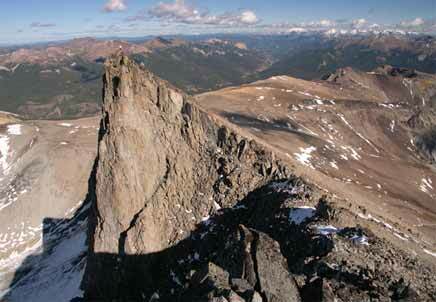 Ice crystal growth in fractures/joints causes rock pieces to break apart and fall from the outcrop to rest nearby. 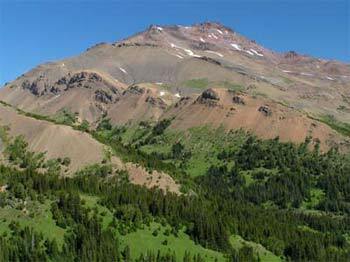 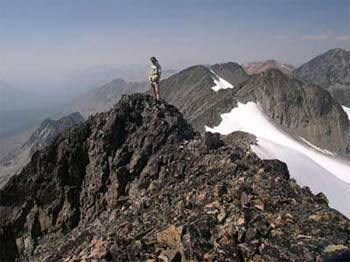 Anyone mountaineering in the Southern Chilcotin Mountains will certainly become acquainted with scree which frequently provides the only non-technical routes available to ridges and mountain tops. 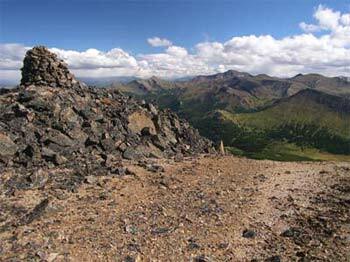 The scree in the Southern Chilcotin Mountains is often a welcome mix of fine and coarse rock (due to the abundance of easily weathered sedimentary rock) which certainly helps to give more traction and control when ascending and helps to cushion your descents. 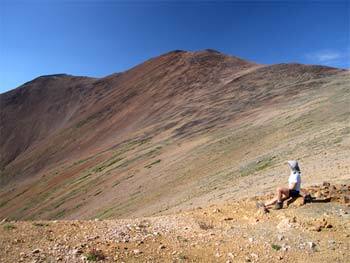 However, boot-eating coarse scree does also exist here, so beware!